KNAC.COM - Reviews - NOTHING MORE In Montclaire, NJ With Photos! NOTHING MORE In Montclaire, NJ With Photos! As they say in life, “timing is everything,” so when I found out that I was going to be up in Bergen County in New Jersey, I checked the live music/concert schedule for the area. To my surprise, NOTHING MORE was opening for PAPA ROACH at the historical Wellmont Theater in Montclaire, New Jersey. 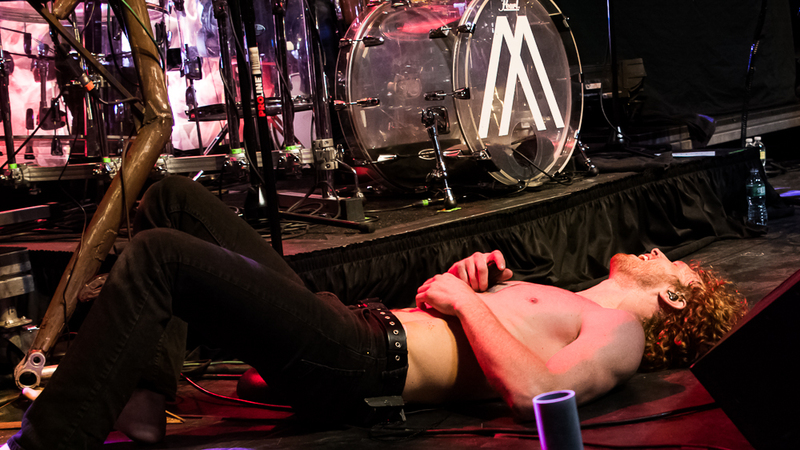 After doing some leg work, and after other events of the day fell perfectly into place, I was able to make it out to the show to cover one of the fastest growing bands in the last ten years. Walking up to the venue was pretty standard faire other than some fans had shorts and tee-shirts despite it being a brisk, in my opinion cold, spring evening in New Jersey. The police and security wanded everyone coming in and as I entered the theater, I noticed the signs for coat rooms on the walls. For this “stranger in a strange land,” these signs are nonexistent in Florida and I haven’t seen one in a lot of years. I couldn’t help but notice some odd looks from the locals, as they seemed to be a pretty tight fit, hard rock and metal community in the area. As I walked through the door into the main floor area of the Wellmont, I was thoroughly impressed by the venue. The main level has 4 lower levels, including a floor general admission type level, and the 3 other levels included a bar and multiple VIP seating locations. Then there are 2 upper balcony levels that provide a comfortable and amazing view of the stage all while preserving its 1922 ambience. After ESCAPE THE FATE finished their 7 song set, drummer Ben Anderson went behind his drum kit to girlish screams from the audience accompanied by bassist Daniel Oliver and guitarist Mark Vollelunga. Shortly behind them strode a shirtless and shoeless Jonny Hawkins. His apparel or lack thereof, hasn’t changed much if at all since I discovered this band 5 years ago when they opened for ADRENALINE MOB in Tampa. 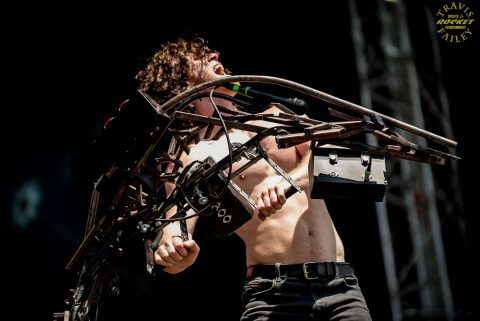 NOTHING MORE has grown its fan base exponentially since then, playing the spring and summer music festivals circuit numerous times and by opening up for top bands in the genre like SHINEDOWN and FIVE FINGER DEATH PUNCH. 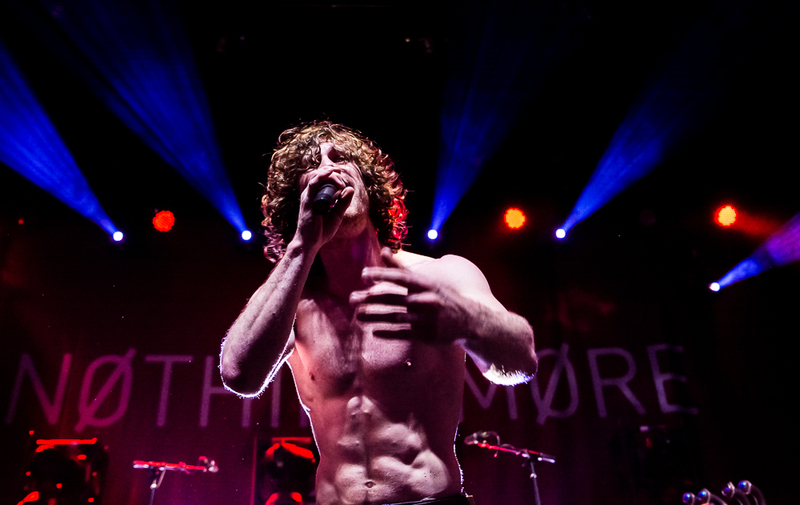 NOTHING MORE’s also headlined their own club tours to sold out crowds. 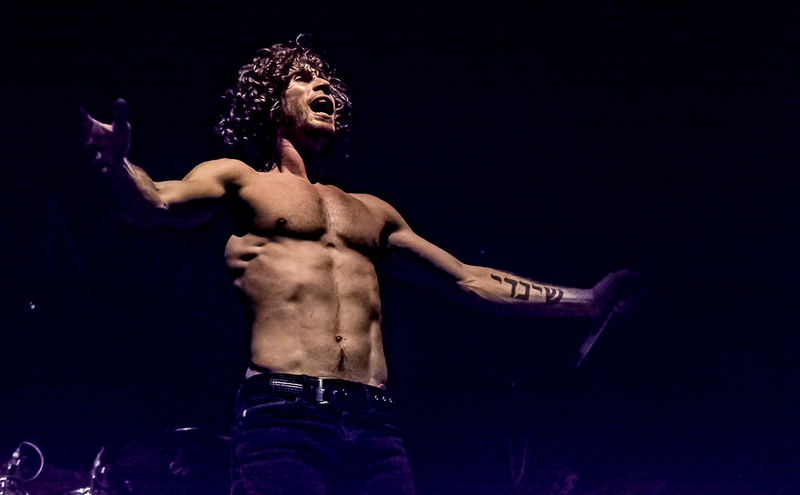 NOTHING MORE knows how to get the crowd going and started their set with “Christ Copyright”. Hawkins joined Anderson on percussion with his own drum kit at the front of the stage while multi-colored strobe lights blazed throughout the Wellmont Theatre. 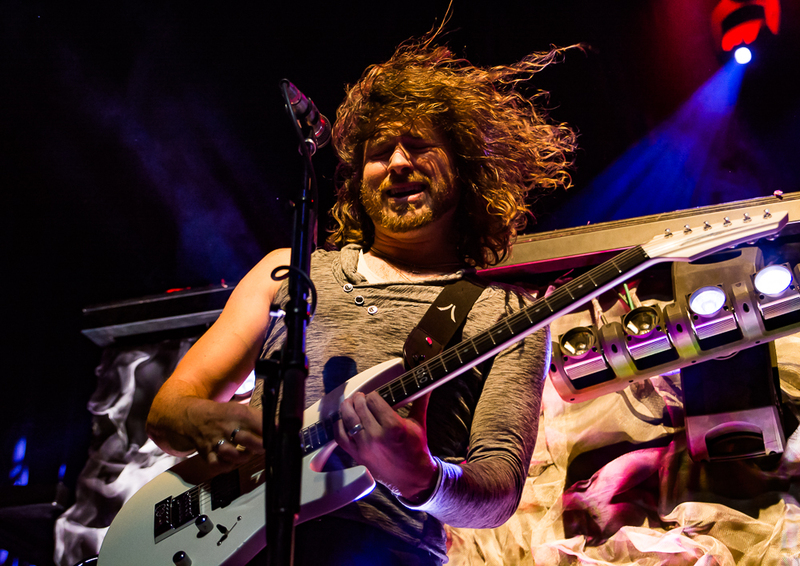 Hawkins’ trademark vibrato was in full effect throughout the night and despite the non-stop touring that the band has done throughout the last few years, Hawkins and the rest of the guys in NOTHING MORE haven’t shown any signs of road wear. The next four songs that NOTHING MORE performed were also the the four singles that they have released from their grammy nominated album, The Stories We Tell Ourselves. “Do You Really Want It”, “Dont Stop”, and “Go To War” kept the energy level at a frenetic pace until the thought provoking “Fadein/Fadeout” was introduced by Hawkins. This song tells the story of our parents and the the timelines that we share as they watch us “fadein” and as we watch them go into their senior years and “fadeout”. “Fadein/Fadeout” and NOTHING MORE’s next song, “Jenny” are examples of NOTHING MORE tackling personal issues that a lot of us can all relate to, and separates them both musically and lyrically from other bands that use a cookie cutter formula to help sell and promote their music and identity. NOTHING MORE also like to incorporate their metal musical creations with their music. 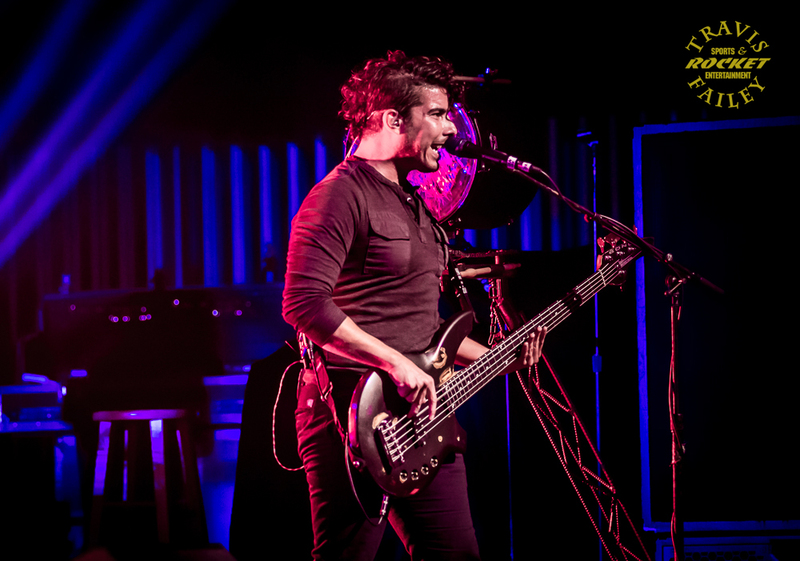 First was the Bassinator, which is a swinging bass that Daniel, Jonny and Mark all play at the same time and now they have they have “The Scorpion”. Hawkins plays The Scorpion by moving a series of push and pull levers that emit varying frequencies and tones. The Scorpion is certainly one of a kind, and so are the sounds it produces. 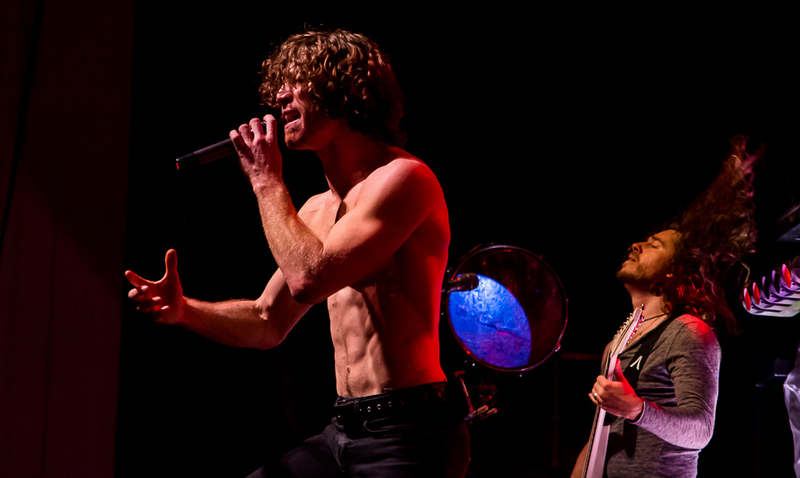 NOTHING MORE went back into attack mode by playing “This Is The Time (Ballast)”, which was the band’s first single from their self-titled release. This song was also the song that got NOTHING MORE on the mainstream map, along with a ton of help and spins on Sirius/XM radio and the support of Monster Energy and DWP’s World’s Loudest Month. 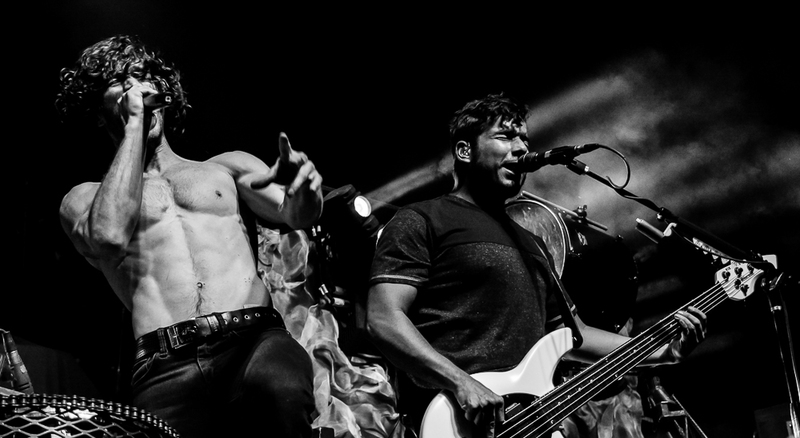 It was during the annual Aftershock Festival in Sacremento where NOTHING MORE really started gathering label interest and they have been a freight train moving forward ever since. 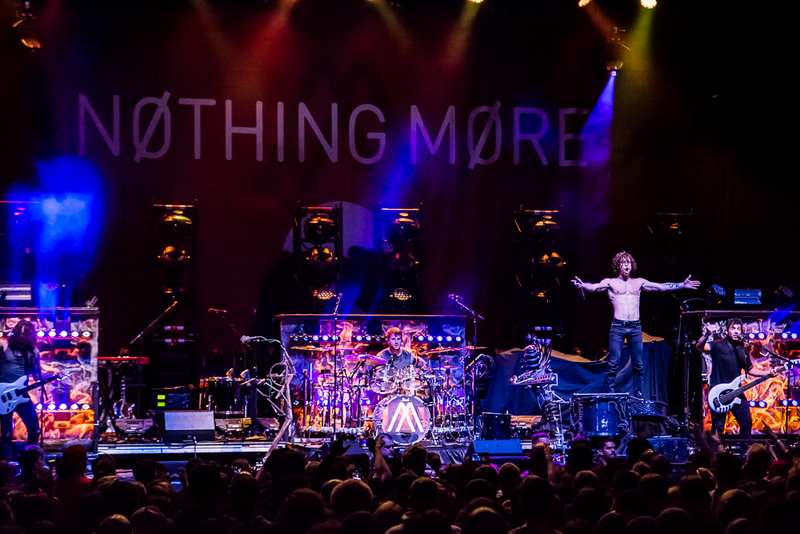 NOTHING MORE finished off their set with their percussion and visual extravaganza, “Salem”. The New Jersey crowd belted out “Burn The Witch” while Hawkins stood on top of the huge floor tom drum grinning in appreciation. As NOTHING MORE left the stage, and as pap roach’s curtain came down for the stage change out, I discussed NOTHING MORE’s performance with one of the photo pit security guards. He stated that he had never heard of NOTHING MORE before the show, but became an instant fan because of the band’s originality and energy. He also stated that despite the fact that he “wasn’t supposed to be there tonight,” he was glad that he got called in to work at the Wellmont that evening. I guess “timing was everything” for him also. For all things NOTHING MORE: http://nothingmore.net/tour/.